As armor evolved, so too did helmets, which eternally evolved towards a blend of lightness and protection. This Open Faced Burgonet Helm, and historical pieces like it, was the renaissance solution to a helmet that was light and effective. Perhaps much of the burgonets success was based on its open-faced design, which could be combined with a falling buffe (which is not included with this helm) to provide more protection to the face, if needed. This particular recreation of the burgonet features a large fixed peak across the crown of the helmet, as well as substantially sized cheek protectors, which are attached to the helm via hinges. It also possesses an extended visor in the front, and a short flange in the back, to provide protection to the neck. Around the brim of the helm are brass medallion accents, which add a touch of fine detailing and decoration to this unique helmets design. 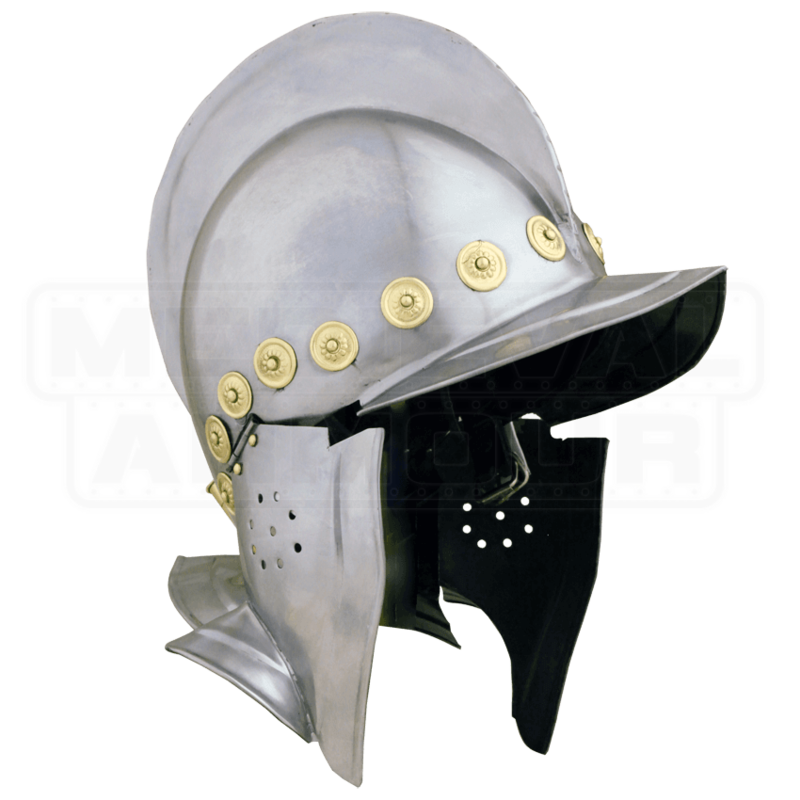 Each element serves to provide better defense for the wearer, though, and helped to make the burgonet a fair success, as far as historic helmets go. This particular recreation is made entirely in 18 gauge mild steel, and it features an internal liner, for added comfort when worn. 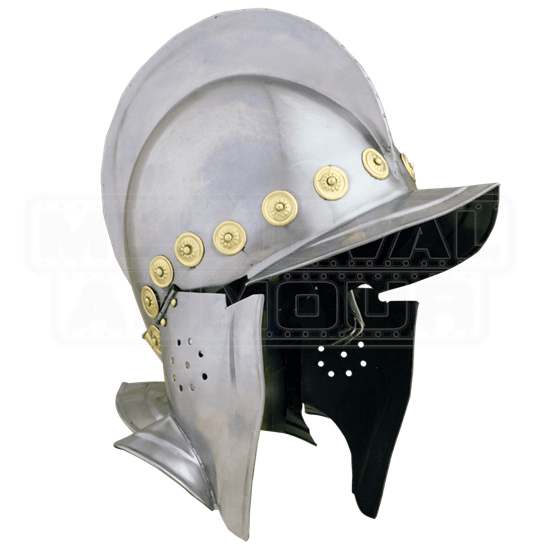 18 gauge construction makes this Open Faced Burgonet Helm an effective costume piece for putting together late-era knightly looks and armors, as well as a fine piece of armor for light reenactment and LARPing. Plus, it serves well as a great gift and display piece for history buffs and enthusiasts, too.